On January 23, 2019, the Minnesota Supreme Court decided for the first time that the doctrine of implied primary assumption of risk does not apply to recreational downhill skiing or snowboarding. Soderberg v. Anderson, — N.W.2d — (Minn. Jan. 23, 2019). This means that skiers and snowboarders participating in the activity in Minnesota can be liable for injuries or harm caused to others as a result of their negligence. In January 2016, Julie Soderberg, a ski instructor employed by Spirit Mountain in Duluth, Minnesota, was giving a six-year-old student a lesson on a ski run called Four Pipe. The run is designated “easiest” and Soderberg and her student were skiing in a section marked “slow skiing area.” Lucas Anderson, a veteran snowboarder for 20 years, began his day at Spirit Mountain by taking a warm- up run down Four Pipe. Anderson found a small mound on Four Pipe and used it as a jump to perform an aerial trick called a backside 180. When Anderson was halfway through the trick, his back was facing completely downhill. Soderberg was downhill from Anderson. As Anderson descended from the backside 180, he landed on Soderberg, colliding with her back left shoulder. Soderberg lost consciousness and sustained serious injuries. Soderberg brought a lawsuit against Anderson for negligence. Before the district court, Anderson argued that, based on undisputed facts and the doctrine of implied primary assumption of risk, he did not owe Soderberg a duty of care. The district court agreed with Anderson and granted summary judgment in his favor. Soderberg appealed. The Minnesota Court of Appeals reversed. The court of appeals, relying on its own precedent from 2007, assumed that the doctrine of implied primary assumption of risk applied to downhill skiing and snowboarding. See Peterson ex rel. Peterson v. Donohue, 733 N.W.2d 790 (Minn. Ct. App. 2007), rev. denied (Minn. Aug. 21, 2007) (holding that because “courts have applied primary assumption of risk to actions between sporting participants,” that doctrine also must apply to “actions between skiers who knew and appreciated the risk of collision.” Id. at 792-93.) The court then found that fact issues existed as to whether Soderberg appreciated the risk that another skier could collide with her from above in a slow skiing area, and whether Anderson’s conduct “enlarged the inherent risks of skiing.” The Minnesota Supreme Court then accepted Anderson’s petition for review. In Minnesota, the doctrine of primary assumption of risk is a complete bar to an injured party’s claim for negligence. See Daily v. McFarland, 812 N.W.2d 113, 119 (Minn. 2012). The Minnesota Supreme Court was therefore tasked with answering whether Soderberg assumed the risk of being hit by implication. Collisions resulting in injuries between skiers or snowboarders are not so frequent that they must be considered inherent in the activity.The seven-point Skier Responsibility Code adopted and enforced by nearly all ski facilities, recognizes that skiing and snowboarding contain “elements of risk” but “common sense and personal awareness can help reduce” the risk. As recognized in 2004 by the Connecticut Supreme Court, “[i]f skiers act in accordance with the rules and general practices of the sport, at reasonable speeds, and with a proper lookout for others on the slopes, the vast majority of contact between participants will be eliminated.” Jagger v. Mohawk Mountain Ski Area, Inc., 849 A.2d 813, 832 (Conn. 2004). The trend nationwide has been to abolish or limit the common-law doctrine of implied primary assumption of risk. The Court acknowledged that “[t]he doctrine of assumption of risk is not favored, and should be limited rather than extended.” Suess v. Arrowhead Steel Prods. Co., 230 N.W. 125, 126 (Minn. 1930). Although, interestingly, the Court declined to overrule its precedent by abolishing the doctrine in its entirety. The decision is grounded on the Court’s recognition that even though skiers can and do collide with one another, common sense and awareness by each participant can significantly decrease that risk. 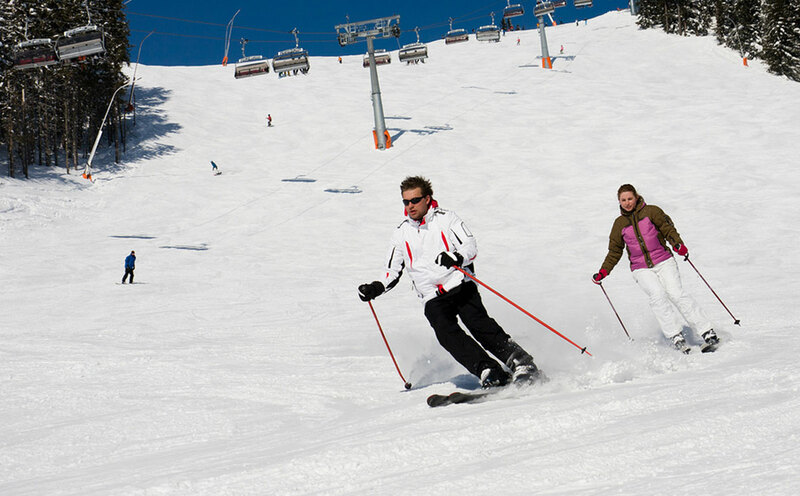 If the Court were to invoke a rule that would remove a skier’s duty to keep a proper lookout for other participants and ski at reasonable speeds, then the rule would only serve to benefit those who ski negligently. While this decision means that Minnesota has, for now, preserved the doctrine of primary assumption of risk, it shows that the Court is reluctant to further extend the doctrine. 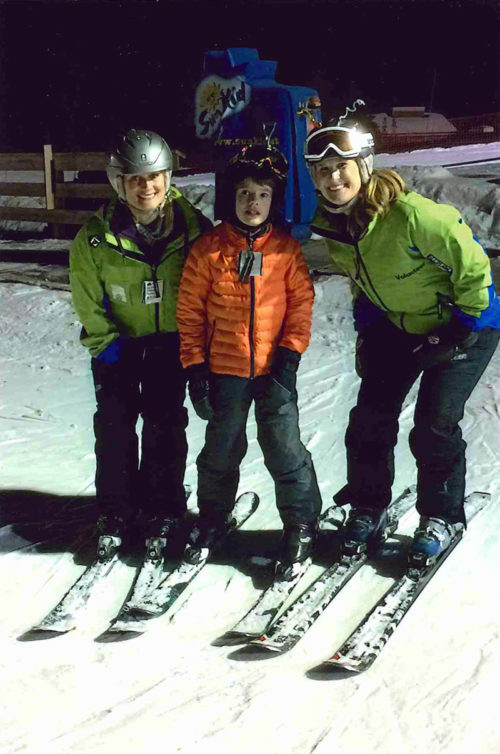 Lauren Nuffort, is shown in the above photo (at right) with a student and another volunteer for Courage Kenny Rehabilitation Institute while teaching adaptive alpine downhill skiing at Hyland Hills Ski Area in Bloomington, Minnesota. If you have questions on this decision or its implication, please contact Lauren Nuffort at 612.336.9308 or lnuffort@lommen.com.